Terry Brannigan calls himself a “passable” wrestler at Staples High School. But the 1979 graduate says the sport was “hugely transformative.” In fact, he says, it was one of the best things he ever did. 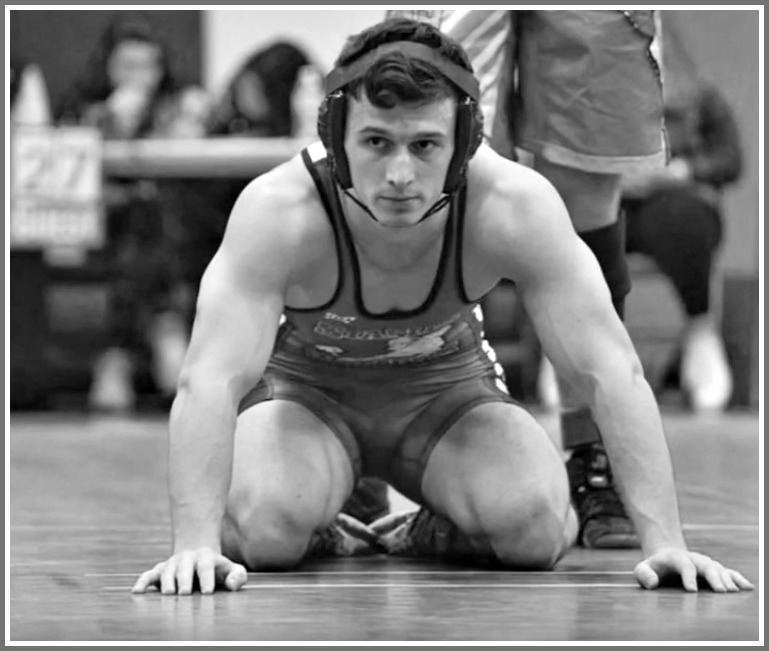 Wrestling helped Brannigan set goals, gain confidence, overcome obstacles, and take responsibility for himself. Right after college, Nick Garoffalo — a wrestler who graduated from Staples a year before Brannigan — asked him to be his assistant coach. Nick Garoffalo (left) and Terry Brannigan, in their coaching days. For nearly a decade, the pair formed a potent team. Helped by John Chacho’s PAL feeder program, they coached individual and team state champions. More importantly, they formed tight bonds between coaches, wrestlers and parents. But “work and life got in the way.” Fellow wrestler Andy Lobsenz hired Brannigan at Dun & Bradstreet. Regretfully, he had no more time to coach. Ten years ago, Brannigan moved back to Westport. He and his wife Laurie had 3 young sons. The oldest, Terry Jr. tried sports. But he was the smallest in his grade — boy or girl — and quiet. Nothing clicked. 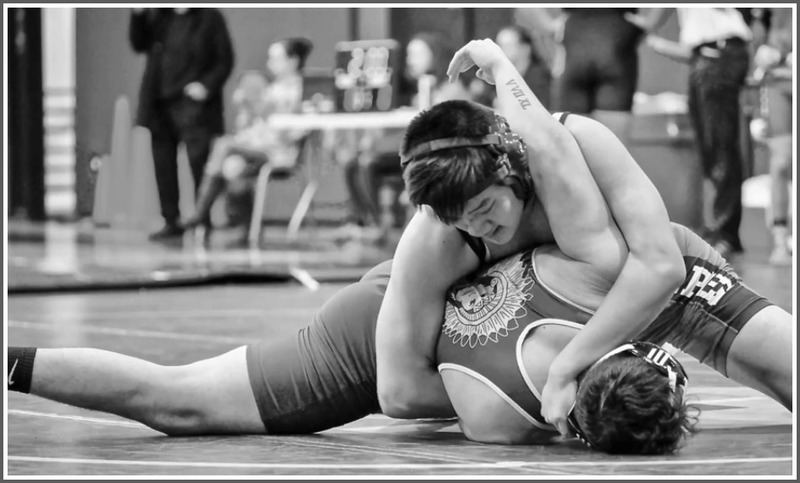 As a Staples High School freshman 2 years ago, he decided to give wrestling another try. Under a succession of young coaches, the program had fallen far from its glory days. Sometimes, there were only 5 wrestlers at a match. With 9 forfeits in the 14 weight classes, the Wreckers mathematically lost before even stepping on the mat. As a freshman, Terry wrestled varsity. He learned the same lessons as his father: In this sport, size does not matter. Someone who studies wrestling and works hard can beat a pure athlete. As a sophomore, Terry Jr. had an excellent season. At the season-ending banquet — attended by only a dozen or so wrestlers — Brannigan began working to resurrect Staples wrestling. Athletic director Marty Lisevick was all in. Brannigan went to work. Lisevick agreed to move the wrestlers from the small, out-of-the-way football locker that had served as their wrestling room. When the winter season began, they would practice in the fieldhouse. It was roomier, and everyone could see what they were doing. Snazzy uniforms were ordered. Brannigan and others built a new website, and a Facebook page. The Mat Men booster club grew too. Another key was a coach who could also build a program. Fred Mills — the “guru” of Danbury’s strong youth program, and owner of Beast Wrestling Academy — signed on. He brought 2 young assistants to the program. Alex Kappel — a teacher in Milford — is the son of a Hungarian national freestyle champion. Paulo Freitas is one of the winningest wrestlers in Danbury High School history. Both added immensely to the program’s credibility and impact. They served as head PAL coaches too, further tightening bonds between younger and high school grapplers. Fred Mills (center), with Alex Kappel and Paulo Freitas. Mills and Brannigan organized summer and fall clinics, sponsored by Westport PAL. Slowly, interest grew. Wrestlers got friends to come. The word was out: We’re doing something cool. Get in on the ground floor. You’ll get tougher. You’ll help us win. You’ll have fun. In the fall, Brannigan helped recruit wrestlers. Some had been his son’s teammates on Staples’ undefeated freshman football team. The parents had formed tight bonds, and were eager to keep the magic going all winter long. Forty wrestlers showed up on the first day. At the opening meet, 7 freshmen were in the lineup. Proud members of the Staples High School wrestling team. The program-building paid off — on and off the mat. The night before the Chacho Duals — a Staples-hosted event, honoring long-time coach and mentor John Chacho — a party drew dozens of parents to Wakeman Town Farm. They stayed until 1 a.m. The next day — in dramatic, down-to-the-wire fashion — the Wreckers won the Duals. It was the first time they’d ever captured their own tournament. The team caught fire. They earned votes in the Top 10 statewide poll. They finished 4th at the FCIAC (league) tournament. They earned the respect of a growing number of fans — and of their coach. A few days ago, 119 people celebrated the season at Uncle Buck’s Fishbowl in Bridgeport. Brannigan looked back with satisfaction on the year. And he was quick to spread praise for the turnaround. “We are an army for good,” he says. 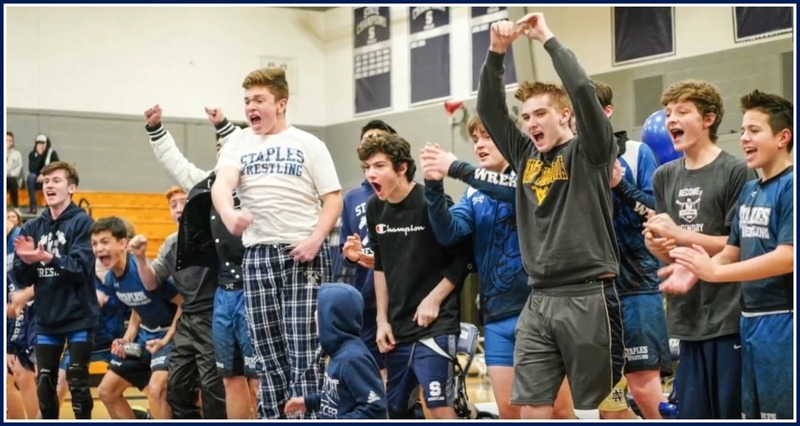 He cited Lisevick, the coaches, and the Mat Men — including “superhero” mom and new Mat Men board member Jen Montoni — for the newly revived Staples wrestling program. The wrestlers and their parents are already excited for next year. But first there’s one final meet. Five Wreckers qualified for the high school national championships. On March 28 Terry Brannigan, JC Montoni, George Harrington, Jake Rizy and Nick Augeri head to Virginia Beach. 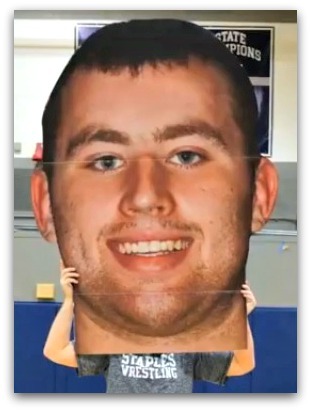 George Harrington — one of Staples’ best wrestlers ever — hoists one of the giant photos that were a centerpiece of Senior Night. They and their parents will drive down together, in an RV. They’ll stay together in an Airbnb. It’s the new Staples wrestling way. And — Brannigan promises — this is only the first round. This entry was posted in People, Sports, Staples HS, Teenagers and tagged Fred Mills, John Chacho, Staples High School wrestling team, Staplesl High School Mat Men, Terry Brannigan. Bookmark the permalink. WAY to much space given to this nonsense, Dan. Far more than ANYTHING academic, dramatic OR musical…..where are our priorities? @ Dan Woog: Thank you for a story that captures the true essence of the successful transformation of a most respected sport. You capture the grit, triumph and camaraderie of this program’s recent evolution as a result of new leadership and fine young athletes. This compliments our community in so many ways and if not for you writing about this, not as many people would be touched by it in such a positive way. This program helps its participants navigate life in the most positive of ways; leadership; discipline; recovery from loss; endurance; teamwork; etc. Thank you for sharing this. @ Dan Katz: You made an unfounded and ignorant comment; you must be angry at something or someone and I’m sorry for that. Nevertheless – freedom of speech prevails. This wrestling community is a forgiving bunch and we rise faster and stronger from our mistakes. Clearly, Dan Katz, you made the mistake of a hasty and thoughtless slip of the pen here. We forgive you and, hey, invite you to come take your anger out on the mat sometime! Sorry, Dan, I have to respond to this. I cover Staples High School students’ academic, dramatic and musical achievements constantly. Sports people often ask me why I don’t cover sports. I tell them there is a sports section in local newspapers; very occasionally I’ll report not on wins or losses, but on interesting back stories. This is one. It’s a “dramatic” turnaround, achieved with the same hard work and dedication shown by Staples’ many excellent students, musicians and actors. A search for “Staples” on my archives brings up this list: https://06880danwoog.com/?s=staples+ — it’s filled with a huge variety of stories of all kinds. By the way, You’ve already made two comments. That’s too much. Please tell us why this one story upsets you so much. Great article Dan Woog. Really happy that this sport has been revived in Westport again. It helps these kids become more confident, work with one another on a team and support each other by lifting each other up in the wins and losses. Congrats to the coaches and the families for their hard work and dedication and best of luck to the five who made it to nationals. All of us are behind you! Thanks Dan Woog for highlighting this and so many other great stories for our community. You cover academic achievements, musical accomplishments and so many other important articles about the youth of this town. Less thanks to the other Dan (Katz) for casually referring to it as, ”this nonsense”. Perhaps you could celebrate a key sports program that saw a dramatic turnaround? Perhaps you could respect the key people that put in so much time and had a real impact on a community and group of parents / students? Perhaps you could try and understand that some kids that that have failed in other sports and maybe looked to be be accepted socially – have found it in this revived program? Perhaps that is too much to ask. I would put every young man’s character in that program up against your empty comment. Proud to see this program being reborn and Bringing back the glory! rebuilt! What a comeback story this has been. Good Luck at Nationals boys!! If I had a blog, I’d blog about everything that YOU do for this town and the people who call it home. Dan Katz, you should come to practice sometime and bring your workout gear. You will walk away a better man and maybe even understand the subtext of Dan’s post (that you clearly miss). My guess is that we can even turn you around. BTW: I’d love to see a list of your accomplishments and share with the cyber world how many of them are nonsense. Hope all is well, keep up the good work! I’ve been far gone from Westport for nearly 30 years (so I don’t know this Dan Katz that everyone is talking about), but I also do want to thank Dan Woog for the article. Being on a great high school wrestling team was far and away the best thing I got from my years in Westport. It makes me very happy as an alum to hear that more than a few current Staples students are part of building the opportunity for themselves to have a similar experience. Hmmmm; lots of good push back here….I appreciate them that took the time to enlighten me. Thanks, Dan. Sounds like you’ve got a wrestler’s mentality: overcoming adversity, and not blaming others. I’m serious. There are very few other sports in which a competitor goes out there, alone, and at the end has his hand raised in victory, or walks off alone in defeat. At the same time, he has the full support — win or lose — of his team, because they know how hard it is to do that. There’s one other unique aspect to the sport. After a match, wrestlers on both teams will get together. One who lost may ask the wrestler who beat him, “How’d you do that move?” And the other wrestler will teach him. It’s very cool to see. Wrestling is one sport in which size and body type does not matter. Wrestlers come in all shapes. A 103-pounder contributes as much to a team — and works as hard — as a 285-pounder. It’s also a sport that can be done by people with disabilities. A few years ago Weston High had a phenomenal blind wrestler, Eric Weihenmeyer (who is also the first blind person to reach the summit of Mt. Everest!). I’ve seen wrestlers without limbs. All are accepted fully. The same goes with female wrestlers. Staples does not have any girls on the team now, though they have in the past. They too are encouraged and admired, because their teammates know how hard they work. Just a bit more background, on this often misunderstood but very special sport. Missed this last time around, Dan. My sons started wrestling in Illinois as “peanuts”. Continued when we came to Westport. And kept at it until some time in High School. I have always thought that this sport was so incredibly athletic! The amount of energy expended in a 3 minute round is breathtaking. I am so pleased that this sport is making a return here in Westport! We have always been so proud to be here. Great article on great Westport citizens! It is so sad there are people out there who’s greatest fear is that someone somewhere might actually be trying to do some good. What Terry and many other have accomplished is awesome. The amount of work, time, and dedication to create from (almost) scratch a thriving, successful program is spectacular. Not the least of which is involving kids in something that isn’t established, isn’t thriving, isn’t a sure thing, and will take a LOT of hard work on their part to change those facts, is beautiful life lesson in the importance of community. For these kids, being part of a nascent program, and seeing how much work and time the coaches, parents, other wrestlers, and supporters put in, and experiencing all the many different definitions of success, is a lesson that will cross over into every aspect of their lives. Academic, most certainly, included. Mr. Katz, I do not know you. I do not mean to be judgmental. Hard to understand your opening comment to a very uplifting story. If your intent was to precipitate commentary, mission accomplished. Mr. Woog has come up with a very interesting term in past blogs. “Asshat”. Which I believe applies here. I remember the days of Saul Pollock. Wrestling was the toughest sport I ever tried. Though I never achieved any success I recognize the individual commitment, toughness, and skill it requires. Congratulations to the Staples program, mission accomplished. Thank you Dan Woog for sharing this story with the Westport community, and for continuing to support ALL of the great students that live here. My family is beyond grateful for Terry, the SHS alumni, our coaches and parents for helping to rebuild the program. We knew nothing about the sport of wrestling before this season, but quickly realized just how truly special it is. All your readers have to do is take a look at the photo you posted of the team jumping up and down, cheering on their freshman teammate who never wrestled before this season. We never witnessed anything close to that display of team spirit and camaraderie from any other school throughout the season. And that’s how it was at every match, and every tournament. These boys supported each other on and off the mat, and seemingly will continue to do so. Thanks again for posting such a positive and heartwarming story about people coming together, that clearly care about our kids. It seems like a lot of hard work and enthusiasm translated into some fantastic success for the team! Is the program also working on creating a pipeline to develop younger talent, a strategy to keep the team’s long term health going? This seems like a sport that some of the younger kids in town would also enjoy, with the physical component also engaging mental strategies. If not, maybe the group could consider starting one? Thanks, Elizabeth. There is a strong connection between the Staples team and the Westport PAL youth program. They share coaches, the same philosophy and facilities. You’re right — wrestling is a fantastic sport for any young boy or girl. And no prior experience required! Dan Katz, I find the backstory here fascinating and I think it offers hope or inspiration for any Staples students who are looking to rebuild a program of any kind and/or start a program from the ground up. Also, we talk so much in a variety of walks of life of wanting a “level playing field.” Wrestling might exemplify that better than any other sport because, as Dan (Woog) notes “size does not matter.” You compete against others in your specific weight class—so this is one sport where everyone truly has a chance to compete and emerge as a champion. I only wrestled in gym class in junior high. (Do they even do that anymore?) And I played varsity soccer all the way from 8th grade at Coleytown Junior High through senior year of college. From my limited experience of participating in wrestling and my knowledge of the sport from talking to and watching friends who were on the varsity wrestling team at Staples, wrestling seems like it’s even more demanding than soccer; it’s a sport that requires the utmost in dedication if you want to excel (including being exceptionally careful about what you eat in order to qualify for your weight class). Kudos to the current bunch of Staples wrestlers and I hope you ultimately attract the kinds of crowds we had for some of the meets back in the day. Great story, Dan. Happy to see the resurgence of a program that had stalled for a number of years. You may even have won over some folks who are not wrestling fans or even casual followers. Hat tip to Terry Brannigan and the entire team. Obviously the priority is eavesdropping on a father and son and then blowing it out virally to the world. At least wrestling is interesting. Great article, Dan and great work by Terry and the other parents and coaches for bringing wrestling back to prominence in Westport. Back in our day, Westport was a powerhouse. I look forward to seeing its continued resurgence and I’m very happy to see the students embrace it as athletes and as fans. Praise from the praise-worthy. We were just commenting on how awesome the Porio’s are. You guys always “show up”. Music, sports, family, art it doesn’t matter you guys never fail. Goes for your awesome kids as well. 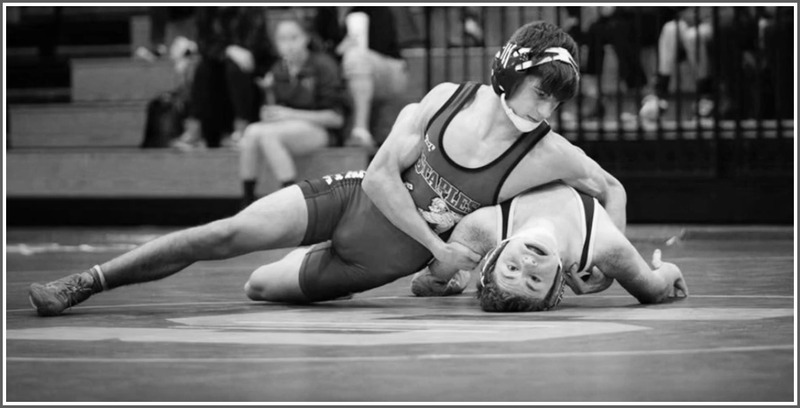 As a member of this community (Westport and Staples Wrestling), I thank you for your article. There are a number of people who deserve to be mentioned in this article that kept the program alive during the period prior to this year (The Lomanto family, The Ludel family, The Arciola family, the Clarke family and the Maragos family). During that extremely difficult time, these dedicated people funded this program out of their pockets, recruited wrestlers (the growth this year is an extension of the previous 3 years), performed the logistic and administrative functions of the team and helped develop some highly talented and inspirational young men who wrestled without a lot of fanfare. It happened because all of us love this sport and are happy to see it thrive. This transformation has indeed been a team effort and it continues to be a work in progress. Lots of great work done that provided the foundation for everything taking place now. Thank you to all!!!!! Completely remiss in mentioning the Menchaca family, who led the team for almost 10 years! Dan Woog- Thanks for the great coverage of what is sometimes referred to as a minor sport (baseball, basketball and football being considered major). Staples Wrestling has had a long and gloried past with many incredible teams and individual wrestlers- too numerous to mention. It is wonderful to see all the new young wrestlers embracing the sport and their team spirit -shown at all the meets. Terry Brannigan did an incredible job of giving the opportunity to all the past wrestlers and their families to be a part of bringing the team back to its past strength. He knew what was needed, contacted everyone and brought in the coaches needed to get the program moving. And I get to go to watch exciting Staples wrestling- again!! So again- thank you Dan for the article. Thank you Terry for doing what you did so well!! The history but also the importance of this sport that our students compete vigorously in is key to one of the many pieces of the puzzle that make Staples far greater than other schools not only in our county, but state and country. Chacho, Brannigan, Garrafolo, Montoni, Qui, Toole, Rizi, Augeri and Harrington bring a stir to the pot of competition and the legacy of other star wrestlers too. Let these kids be proud of something they freely and openly give up their time to do something Katz. Credit is due to these young athletes who dare to rise above and beyond. If you got nothing nice to say, don’t say anything at all Katz. Show some respect. Great article! Fred Mills is my brother, and I know he’s immensely proud of his kids, the hard work they put in showed on the mat, and knowing where Fred has come from(wrestled in South Plainfield, NJ, the ” Danbury” of NJ., and long-time head of Danbury youth) to hear him talk about the young men of Staples tells me all I need to know about them. Thanks for a great look at a real up and coming wrestling team, and its great to know that what they achieved and how they did it will stick with them the rest of their lives. Brian, Thanks for sharing your brother! I hope you guys get the Joe Chacho Christmas tournament going at the middle schools again. That’s where your wrestlers get their start. 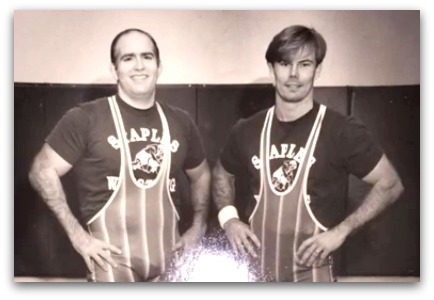 I know what Staples wrestling program did for my stepson and mentee – individually and as a teammate. Wrestling is the toughest sport physically and mentally. Keep up the great work Terry and Dan with all your support for the wrestling program. 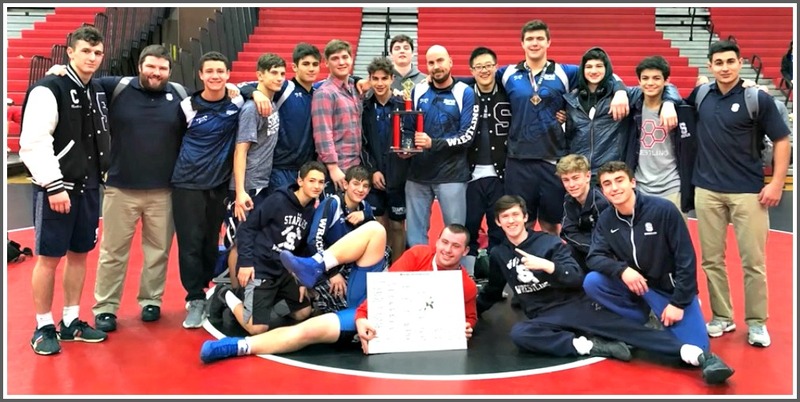 I appreciate the article and learning about the pachievemrnts of the high school’s Wrestling program – that said, this being a community blog, credit to others in the community who were involved, and more detail on the TEAM’s accomplishments would be more interesting than glorifying one Dad. Separately – it’s very saddening that there are so many adults using this “online community space” to righteously Condemn / Shame Dan Katz (I have no idea who he is) or anyone else for his / her opinion . I believe credit was given to the army that is the past, present and futiure of this team- wrestlers, parents and coaching staff. The Dad you reference deseves every bit of the thanks hebis being given and is the 1st to point out that it took a village. That Dad happens to be my brother- one of the best human beings you will ever meet and the most humble. Sounds like you have zero idea how much work he has done or how much credit he gives every day to all who have contributed Sour grapes perhaps? As for Dan Katz, I think the people have spoken and he graciously acknowledged his error. So, Dan Katz’s opinion was that this is nonsense, and it was others opinions that his opinion was nonsense, and now you’re telling us that it is your opinion that others should not use this forum to state their opinions. The spirit of the piece was positive. Let’s keep it that way! G. Maiolo: Though I appreciate your support and the general direction of your comment, I do feel that I was less pilloried than I was CORRECTED. My bias has always been that too much money, time and accolades are spent on HS sports…in this case, I missed the mark and am grateful for the rather gentle corrections given me…..